Superdry men’s Classic mule slippers. Reward your feet with these comfy slippers. 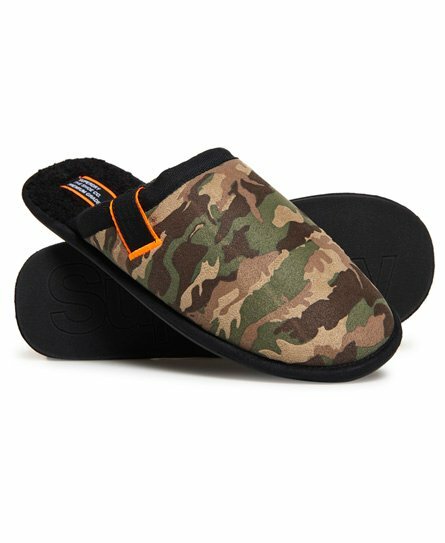 A slip on style slipper with fleece lining that are finished with a Superdry logo patch on the insole and a logo tab by the slipper opening.